The romance aside, the plot was still there and it was surprisingly decent. Kyler and Sydney decide to take a trip up to his parents’ cabin in the mountains, and a snow storm keeps the rest of their friends from making it up there -and them from leaving the cabin. Obviously, we’ve all read similar books like this. Back up generators die, body heat is traded, and sexual frustration out the wazoo, right? Okay, so this book is a little generic and contains a recycled in plot, but it’s still good. Throughout the week of being cooped up in the cabin, odd things start happening. Things that only a person would do in order to terrorize and frighten. It’s an all around good story and kind of reminded me of Chill Factor by Sandra Brown. Well, this one’s pretty steamy, and if you’re looking for one of those reads that has both plot and steaminess, this definitely will be the book for you, though I will say that the excitement of the whole plot is a little predictable. All steaminess aside, I loved the development of Kyler and Sydney’s romance. They knew each other from when they were kids. It didn’t feel like an insta-love story! It was gradual and showed the development even though it was mostly in the past. It was gentle and kind, and you could see that they not only loved each other but also respected one another. Again, I don’t read many NA titles, but I was glad that I read this one. I loved their age, partially because it reminded me of my own. They were about to start their last semester in college, and they had found a love worth fighting for. Yeah, it’s cheesy, but my romantic heart just ate this stuff up. 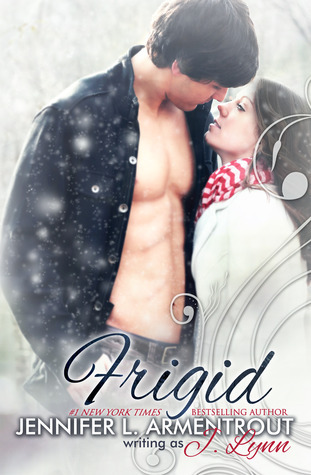 If you want a nice, steamy winter/Christmas read in the middle of the hot summer, this should definitely be on your list. It was fun and relatively short. I read it in practically one sitting. All of Armentrout’s work is good, and needless to say, I am pretty impressed so far. I’ve read 6 of her books in the matter of 4 days. I gave this book 3 (3.50) stars on my Goodreads.